10''L x 4''W Wire Shoe Shelf is the perfect fixture for displaying shoes and other small merchandise. This versatile shelf is wonderful will allow your merchandise to take its’ rightful place in the spotlight. 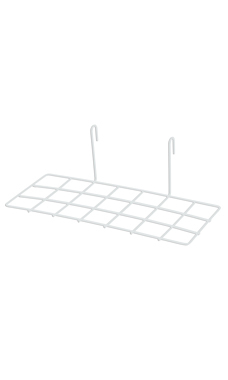 The shelf has a white powder coat finish with an easy hook on attachment for easy installation onto your grid display.